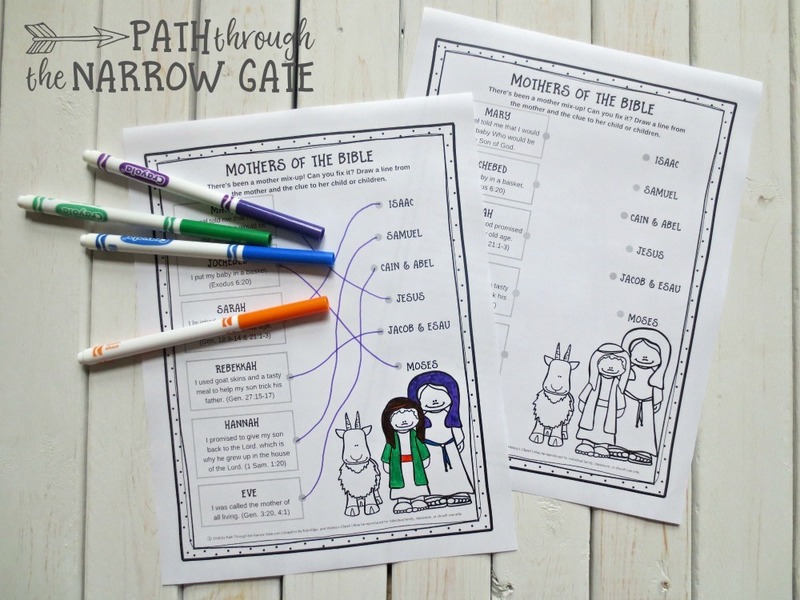 Younger children will enjoy drawing lines from the clues to the correct mother and coloring the picture. 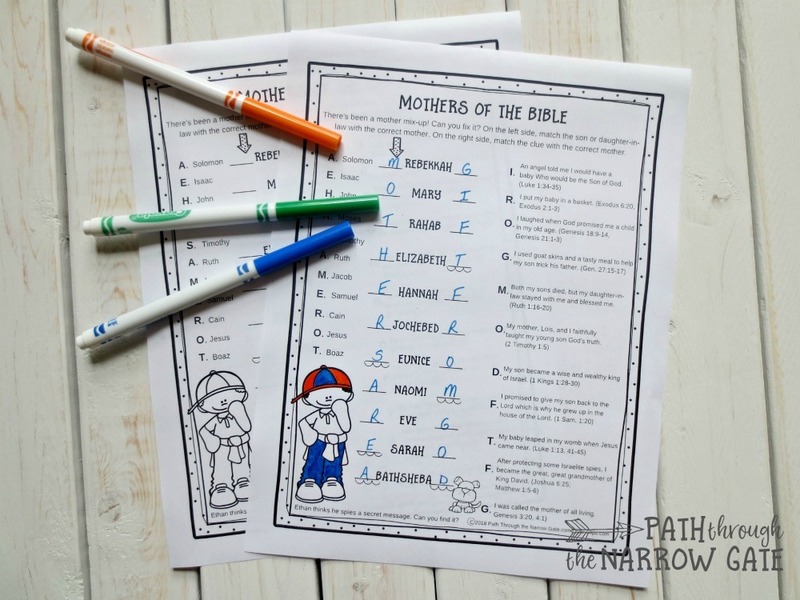 Older kids will be excited to not only match the clues, but discover the secret message. 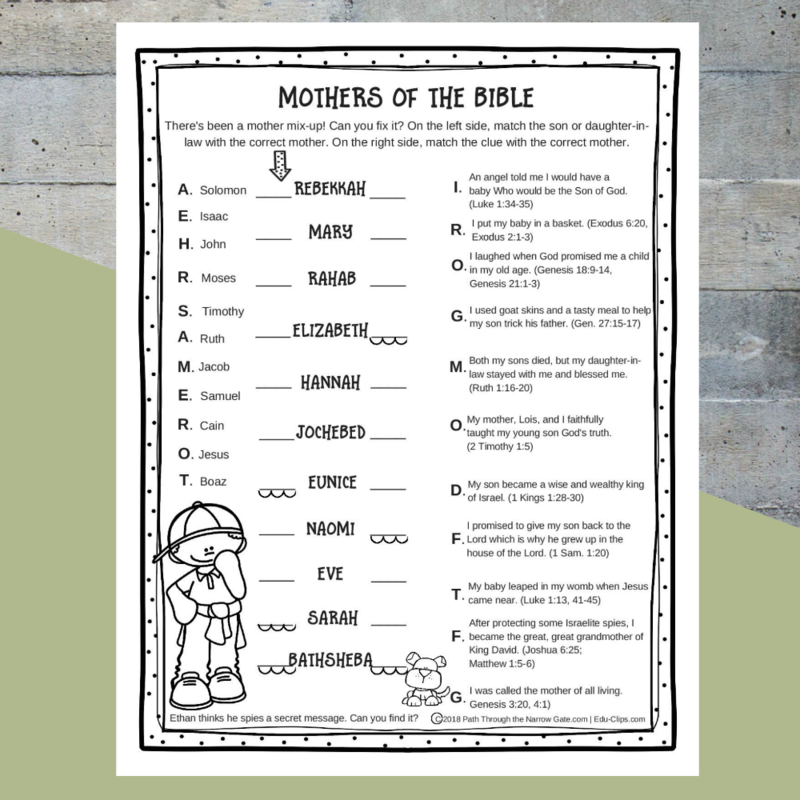 These Mothers of the Bible activity pages are perfect for a rainy day at home, to take on a road trip, to have on hand for a last minute Sunday School activity, or to include in the church bulletin for Mother’s Day. Grab your copies by clicking the links below. If you use these pages, I would love to hear how it goes. Please scroll down to comment and let me know. P.s. Want more activity pages like this? 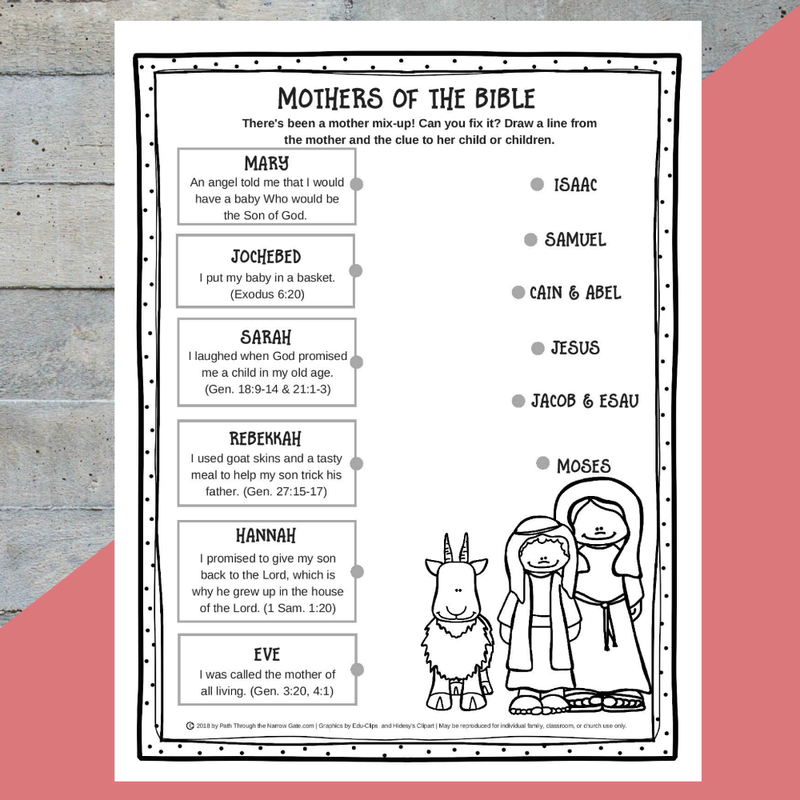 Check out the Life of Jesus Activity Pack here!